Foundation for Down Syndrome of Madrid, Spain. 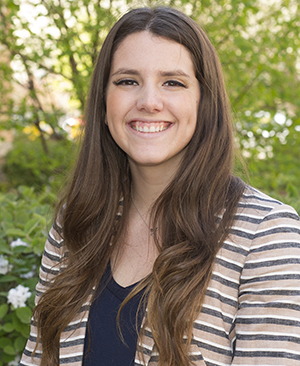 Alexis Pala Notre Dame anthropology major Alexis Palá ’15 has spent the past three years studying opportunities for adults with intellectual disabilities in Chile and Spain. Next year, she will continue her research in Chile with support from a Fulbright U.S. Student Award. Palá’s research began after her first year at Notre Dame, when she received a grant from the University’s Nanovic Institute for European Studies to study Spanish in Madrid and work with an organization that supports adults with intellectual disabilities. 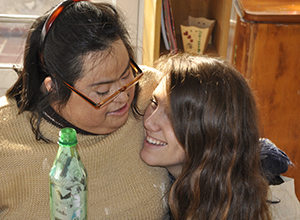 The experience not only piqued her interest in Spanish language and culture, it also inspired her to further explore the place of adults with intellectual disabilities in society. Over the next two summers, Palá—a Kellogg International Scholar—traveled to Chile with grants from Notre Dame’s Kellogg Institute for International Studies to conduct further research. She returned to Madrid during her junior year to study abroad and examine issues of discrimination and societal perceptions of adults with intellectual disabilities in Spain. As an undergraduate, she has already presented her research at the American Anthropological Association’s 2013 and 2014 annual meetings in Chicago. And in July 2014, with funding from the Nanovic Institute, she traveled to Vienna, Austria, to present at the International Association for the Scientific Study of Intellectual and Developmental Disabilities European Regional Congress. Her work, she says, is rooted in her family life. Pala during her summer 2014 fieldwork in Santiago, Chile. Discrimination often surfaces in subtle ways, Palá said, such as infantilizing adults with intellectual disabilities or underestimating their capabilities. In her senior year, Palá used her research to complete a thesis project comparing Spain and Chile in three main areas: opportunities for adults with intellectual disabilities, how society perceives such adults and how they perceive society, and overall feelings of inclusion. After graduation, she will work for several months outside Mexico City in a community run by L’Arche—an international organization that creates homes, programs, and support networks for people with developmental disabilities—before returning to Chile to begin her Fulbright research. Palá’s time at Notre Dame has prepared her to serve in a L’Arche community, she said, and it’s opened up opportunities that may not have been available to her otherwise. When Palá returns to Chile, she will continue her research while also putting her results into action. Palá will investigate what legislators in the country know about the human rights of people with intellectual disabilities, as well as how much community members and people with disabilities know about their own rights. She will then implement a human rights campaign and evaluate its impact. Her advisers and faculty at Notre Dame, she said, were integral in helping her make a strong application for the Fulbright. As she prepares for the next phase of life, Palá said conducting independent research was the most formative experience she had at Notre Dame.